How Will the Changes in GST E-Way Bill Impact the Economy? Generation of e-way bills was made compulsory by the government from 1st of April, 2018. But, what exactly is an e-way bill, and how will it affect the taxpayers? To understand the effects of the e-way bill, we need to learn what it means for traders and the logistics sector. E-Way Bill or Electronic Way Bill is a unique document generated electronically for the consignment of goods to a different place. e-way bill was proposed to curb tax evasion in the country. Sadly, apart from the first optimistic cry around the idea, the logistics and technical glitches have turned the e-way bill into a nightmare for the taxpayers. The major repercussions of the e-way bill are experienced by the logistics industry, FMCG sector and e-commerce operators. Why Is It Important to Generate an E-Way Bill? One of the main reasoning in favor of Goods & Services Tax is its ability to unify the market and avoid the inter-state taxation system that was confusing and riddled with multiple clauses and sub-clauses. A report released by the Ministry of Road Transport and Highways suggests that a conventional truck in India spends 20% of its commuting time in the inter-state checkpoints. In states such as Rajasthan and Maharashtra, the average waiting time is usually 20-30 minutes, and it rises up to two hours in states like Bihar and Jharkhand. GST and e-way bills were both introduced by the government to avoid the transit delays and rampant tax evasion caused under the VAT regime. The GST regime required each e-way bill generated by a buyer of goods to be updated automatically in the Outward Sales Return (GSTR 1) of the supplier, which leaves a negligible scope for tax evasions under this system. In the former tax regime, tax officials had to cross-check the tax returns filed by the suppliers manually for verifying whether the consignments fall under the tax net or not. Also, a single e-way document for the movement of goods throughout the country could save tons of paperwork and sidestep various inter-state clearances for buyers, sellers and transporters. In the previous tax regime, each state framed its own rules for the movement of goods from and to it. When Can Someone File an e-way bill? The primary requirements for generating an e-way bill under the current GST regime is that the consignment must be getting transferred through an interstate or intrastate channel, and it must have a value of more than INR 50,000. The e-way bill has replaced the way bill, which existed during the VAT regime and was used for the consignment of commodities. Who Can Generate an e-way Bill? Three kinds of individuals can generate an e-way bill: a GST-registered person, a non-registered person and a transporter of goods. A registered person can generate an e-way bill when he/she is moving goods that have a value greater than INR 50,000. It is applicable only when the products are being transferred to or from the possession of a GST registered person. The registered person has the choice to not generate the e-way bill if the value of the goods being transported is less than INR 50,000. Similarly, an unregistered person is also required to generate an e-way bill when the value of goods transported exceeds INR 50,000. When a GST-registered person is receiving goods from an unregistered person, then they’re responsible for ensuring that the supplier meets all the compliances. Apart from GST-registered and unregistered taxpayers, transporters who carry goods through any form of transportation, including planes, road, rails, etc., are required to generate an e-way bill. Which Sectors Will Be Affected by the GST E-Way Bill? One of the main accomplishments of the implementation of the e-way bill is the effective dissolution of state borders. The time wasted by the transporters at the state borders for validating the documents while transporting goods from one state to another is minimized through this process. A substantial reduction in documentation can benefit the logistics industry immensely. Earlier, the transporters had to furnish documents in each state while transporting goods from point A to point B. Under the GST e-way bill, a single document is adequate for carrying a consignment through multiple states. For instance, while moving goods from Delhi to Tamil Nadu, the taxpayers need to generate a single e-way bill that could help them in moving through several states that they need to cross before reaching the destination – Delhi. 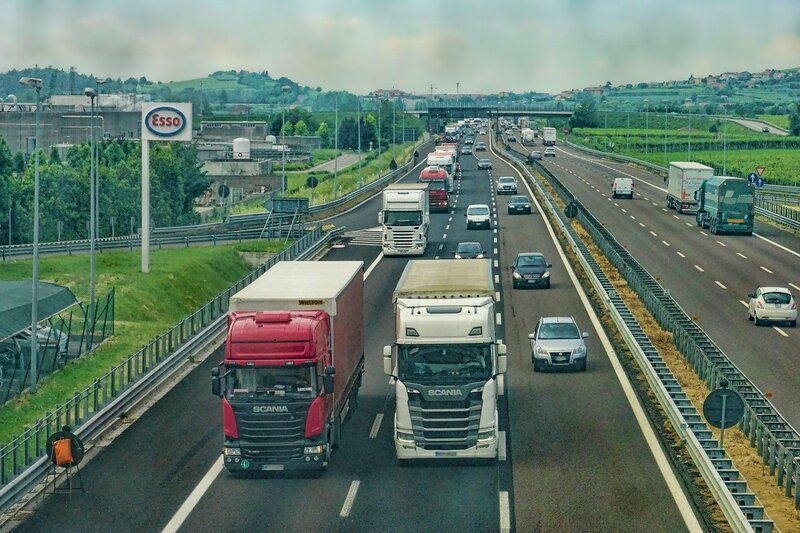 Adopting the e-way bill would result in a smoother flow of goods since the halts (such as interstate and national checkpoints) are eliminated from the route. Transport vehicles can be detained once in a state only if the authorities suspect tax evasion. When a vehicle is held for more than half an hour, it must be reported to the authorities. Due to smoother movement of vehicles through the country, the logistics industry will experience a substantial reduction in fuel and other transportation-linked costs. Before the advent of the GST regime, companies had warehouses in each state to avoid paying additional tax after their goods crossed the state borders. GST e-way enabled the flow of goods more freely, which means that the companies can build warehouses in strategic areas, which will ultimately reduce the overall cost. Since the e-way bill system is driven by technology, small and medium scale transporters might not have the IT infrastructure to generate the e-way bills. There could be challenges in implementing the GST e-way bill in rural areas and tier three cities. For the GST e-way bill to be appropriately executed in the FMCG sector, the performance of the supply chain is very critical. Indian FMCG sector is characterized by a sophisticated distribution network and extremely high competition, which requires the businesses to work on improving and innovating the supply chain continually. With the introduction of GST and e-way bill, the complicated networks involved in the supply chains have been harmonized. The businesses will be experiencing an improvement in the management of these supply chains. After the introduction of e-way bills, several e-commerce companies have partnered with the logistic service providers for meeting their business needs; some of the companies have even developed in-house logistics capabilities. The in-house logistics players drive almost half of the logistics market, and the remaining half is managed by third-party logistics service providers that include India Post, e-commerce-centric logistics providers and traditional logistics service providing companies. e-way bill of the GST regime is an excellent way to mitigate the logistic costs, and it gives a solution to the complicated documentation requirements in the previous tax regime. However, for the businesses to benefit from this new tax rule, it has to be executed congruously by the state and central government. Why Should You Diversify Your Investments? Why Should Banks Embrace Blockchain Technology?